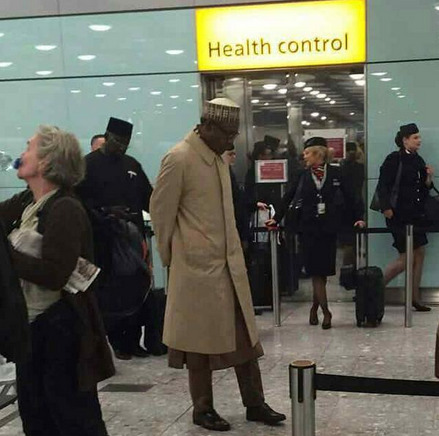 The APC presidential candidate, General Buhari was said by his party to have travelled for a ‘brief working visit’ to London. However, Ekiti State Governor, Mr Ayodele Fayose, insists Gen Buhari traveled out on Thursday to seek medicare in UK and has been attended to at a hospital located in Cavendish Street, today. I don't think both activities are mutually exclusive, he can be working and also take the opportunity to visit a doctor for a check up, he is after all 72 years old. 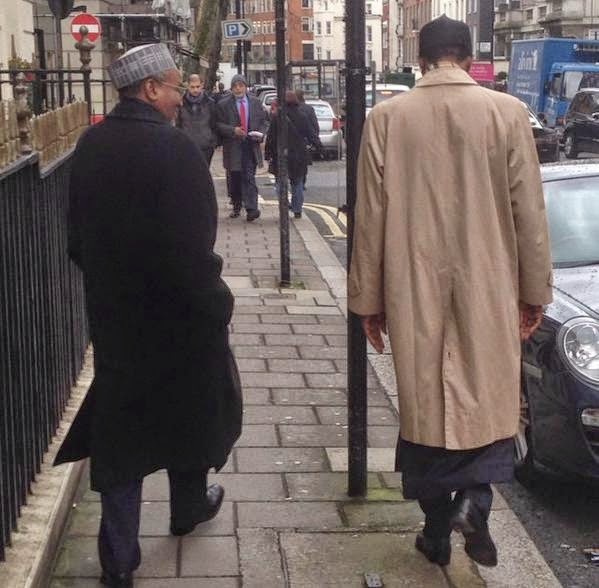 Two pictures of GMB have now emerged, above he is pictured with Mal Mamman Daura taking a stroll on the streets of London. Another picture below shows him at the airport waiting for his luggage. What do you of Buhari's state of health becoming the focus of the election campaigns?